Maybe you have noticed that many of the concessions stands at the ballpark are staffed by volunteers. They donate their labor in return for a percentage of the stand's income. You might have been served by your neighbor, a high school band member or a former Durham mayor! 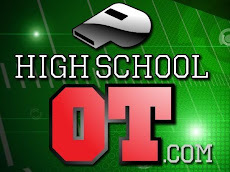 $37K for their kids uniforms and trips. 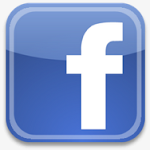 Over the past five seasons, the payout to non-profits has totaled $680,000. 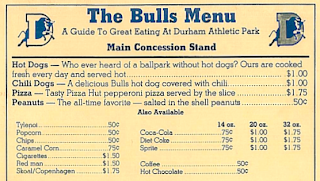 On a historical note, click on that menu graphic (above) from the 1980s at the old Durham Athletic park. It's hard to believe we sold smokes and Skoal at the concession stands. Times change! 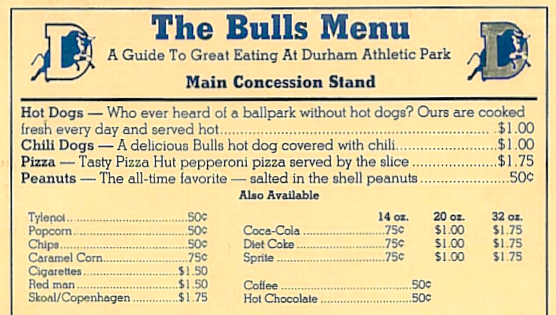 I readily admit that prices have crept up over the past 25-30 years, but remember, the Bulls do battle with inflation every Thursday night with a special menu of $1.00 concessions. Opening Day is April 8th. You're invited. Unique Bulls Cap - First Prize!